I am a member of D23. In fact, I am a Charter Member. Yeah baby! Look at me being all one of the first! LOL. Membership plans range from individual to family. I love this product. Every quarter a well produced coffee table magazine is released. History, things to come, interviews, bits and pieces. Such a great entertainment source and the information is awesome for those of you who like to know how things are produced. I have read every magazine cover to cover. It truly brings a smile to my face when it arrives in the mail. D23 is 10 years old. It seems I am writing on anniversaries and celebrations lately, well here is another. D23 is for each of us. The real fan, the Disneyphile in all of us. Aside from a few other benefits being a member has, D23 is a direct line into the Fanniversary Celebration. This is an annual expo sponsored by D23 every year. The Expo is similar to Comic Cons where there are break out meetings, interviews, other attractions and meet and greets. Announcements are often made that are first words on topics we are all waiting to hear. Cos Play, pin trading, an overall celebration of Disney from so many perspectives. I consider the membership fee reasonable just for the quarterly magazine, but the additional perks just increase the value for me. Single Gold membership is about $80 and this includes the magazine. I consider that a great value. 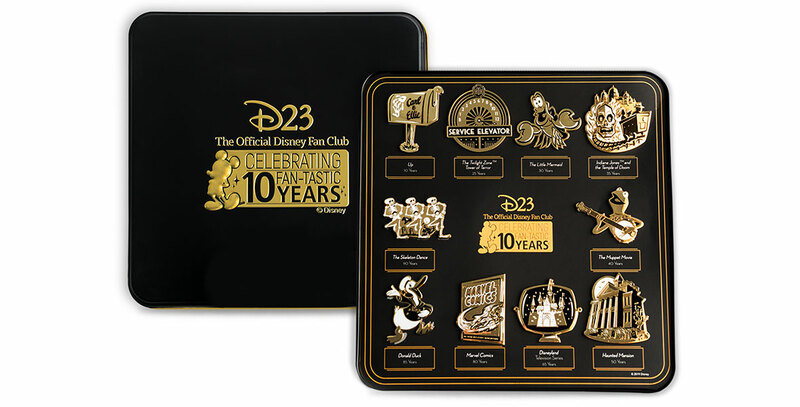 If you’re a pin fiend, joining now gets you the anniversary pin set. Much of my information for my articles comes from this source. 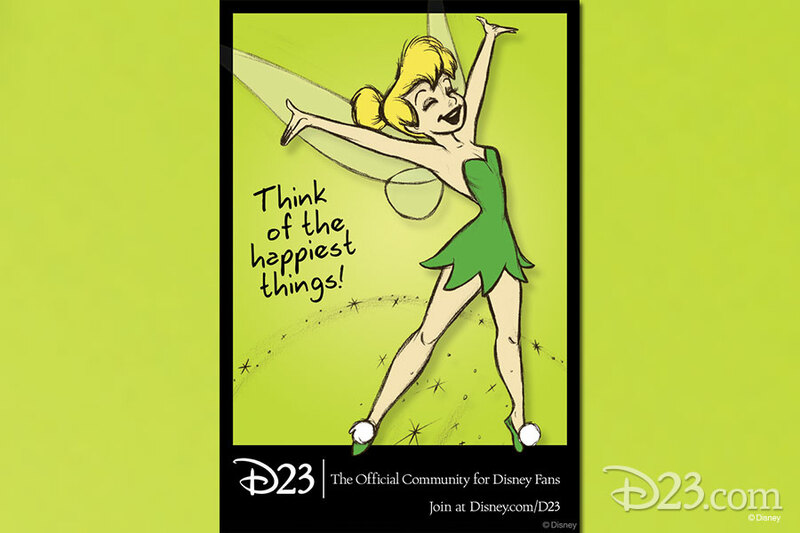 D23 website has a plethora of product, information and fun . If you haven’t checked out the membership, it may be worth your while to take a look see. I am confident there are many people on this site who would love this membership package. It is usually during my vacation black out, but I have read numerous articles. It has a comic con feel, many people COS play but it is far more subdued then the comic cons.